Computer security has always been an esoteric field, and it’s only getting more complicated. Firewalls, antivirus systems, smart AI heuristic threat detection… anyone researching network security can easily get bogged down in buzzwords and highly technical software-based solutions for keeping electronic threats at bay. However, it doesn’t matter how much money you’ve spent on network security if someone can just walk up and access your hardware directly. Physical security is at least as important as software security when it comes to locking down your network. 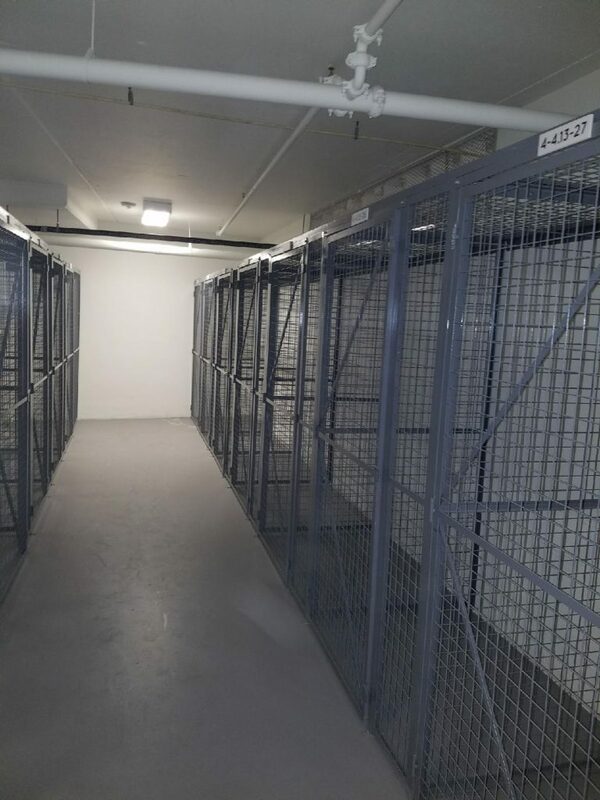 Wire storage cages might seem low-tech, but they’re still the best overall option for keeping critical assets away from prying eyes and hands. And when your wire storage cages come from California Wire Products, you know you’re getting some of the best physical protection in the industry. Our cages aren’t stock off-the-shelf products. We’ll work with you to understand your needs, take measurements of the room, and find the perfect security solution for you. Matters including size, weight, mesh gauge, and the type of door and its placement can all be created to your own specifications. We are one of America’s leaders in wire and mesh-based products and have been for seventy years! We’ve implemented custom cage solutions for every situation imaginable and have the experience to guarantee our cages will meet your needs. We can take aspects into consideration, such as heat buildup, that other companies may not think about. We’ve lasted so long in the business because of our emphasis on doing things right. Our mesh products are heavy-duty and built to last year after year, with robust post-sale support available whenever you need it. We pride ourselves on offering superior ROI on our products, while still keeping our core prices competitive. Do you have concerns about attempted break-ins? 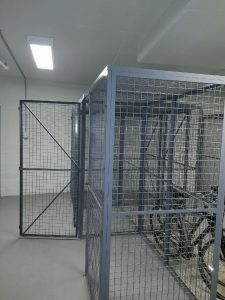 Our cages can be built to withstand almost any foreseeable level of external physical attack. We build cages for zoos transporting dangerous animals! If we can keep an angry lion in its place, we can keep people away from your servers. Back up your network’s software security with physical security to match. 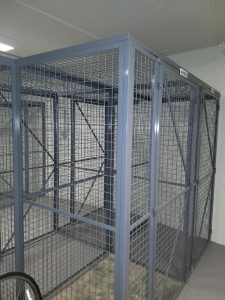 Contact Cal-Wire today for a full consultation on our wire storage cages.